Completed AG Brewery Mark I on 27/05/2011. AG Brewery Mark II will be constructed over the next couple of years. 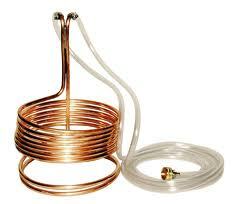 This will entail upgrading my current kit to to stainless steel and increasing my brewing capacity to 10G batches. The plan is to build a brewing plant capable of brewing 5-25G batches. 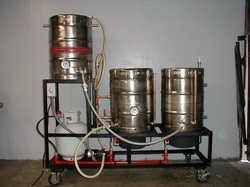 It will be based loosely on the RIMS & HERMS system. To date (25/08/11) I have sourced some 13G Lager kegs which will be adapted to suit.